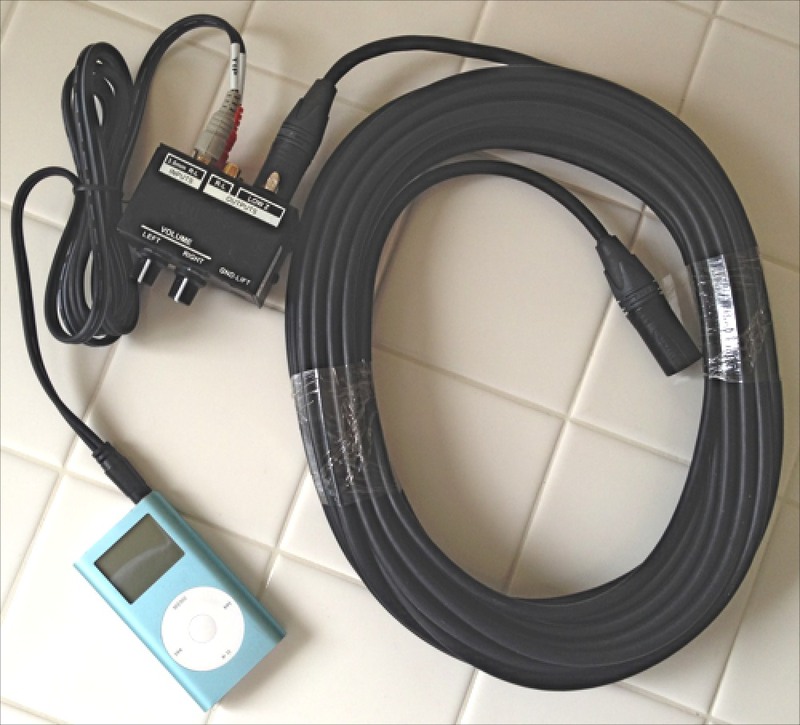 Connecting consumer audio devices to professional audio systems is easy if you know the basics. Here are some instructions to get you going. We will start with the output and then look at the various audio inputs that your sound system might have. First we will start with the output of your audio device. Here is the headphone output of a smartphone. 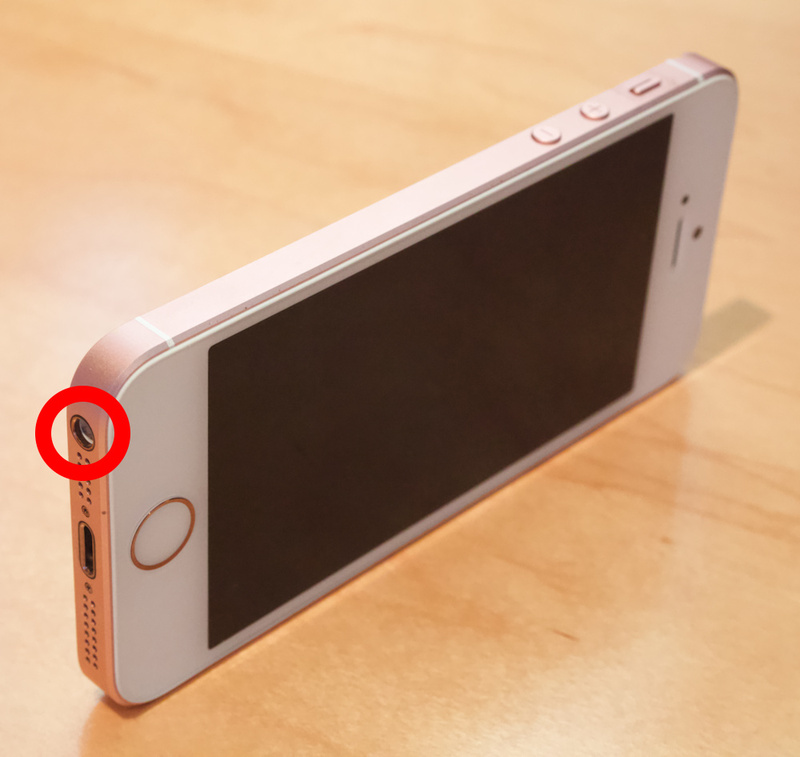 It is a Stereo 3.5mm (1/8") TRS Jack. 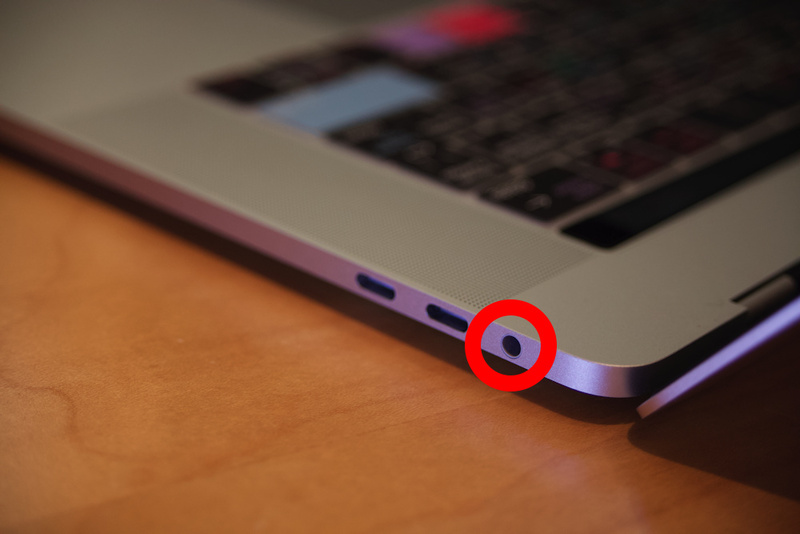 Here is the Headphone output of a laptop. This is the Line Level Output for an iPhone Dock. A dock will keep the phone charged when in use. 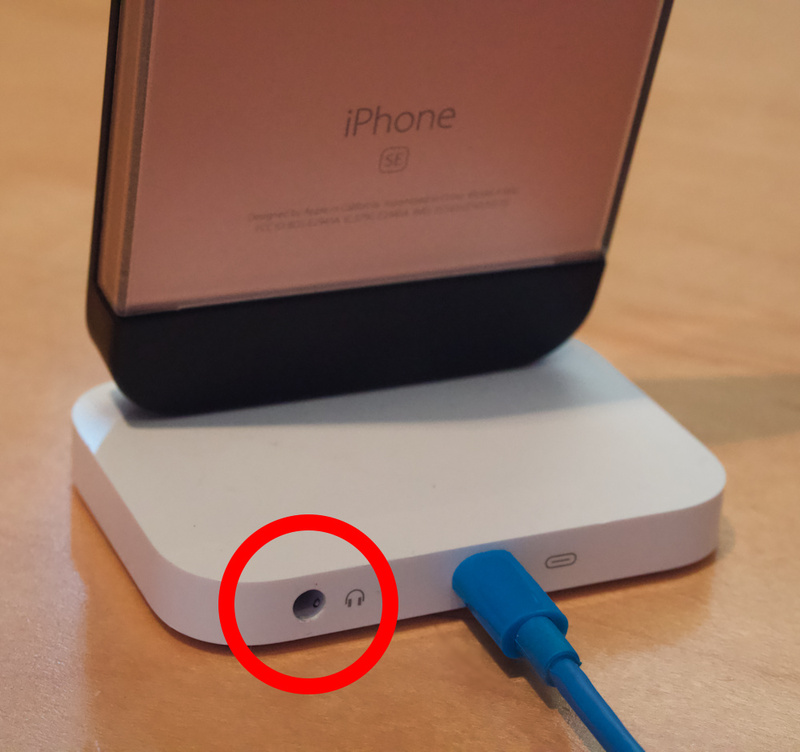 This is the correct connector to plug into the above audio devices. It is important that it has the three TRS conductors. There are two conductor TS versions of this plug, but you will not get sound from the right channel if you use them. Connecting to an available input on your sound system. These are RCA Stereo Inputs. 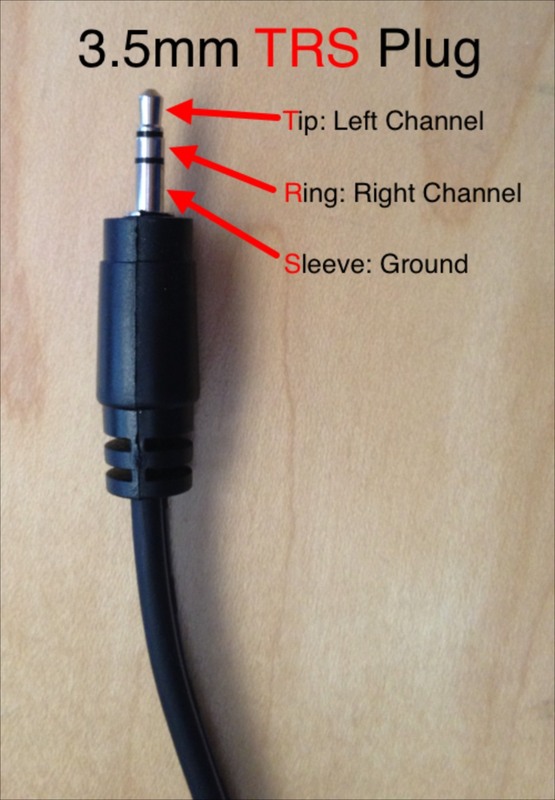 Not every sound system has these inputs, but if yours does, a simple patch cable is all that you'll need. 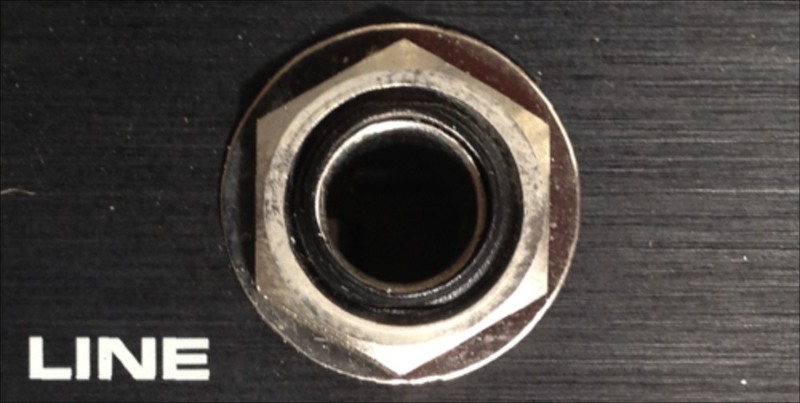 Warning, keep the patch cable short (under 10 feet or 3 meters) to avoid hums, noise, and loss of high frequencies. 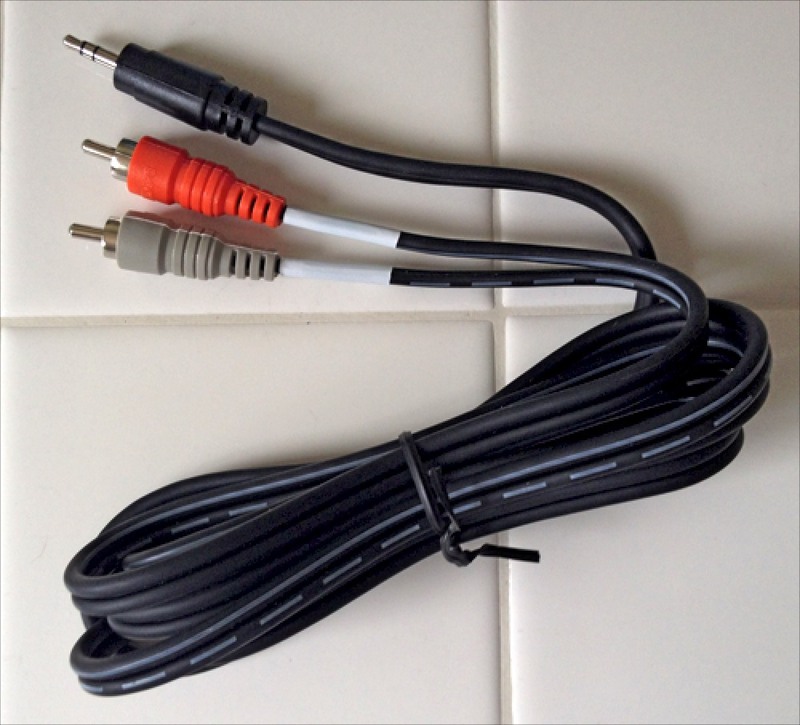 This is the cable that you will need to connect to RCA Stereo inputs. 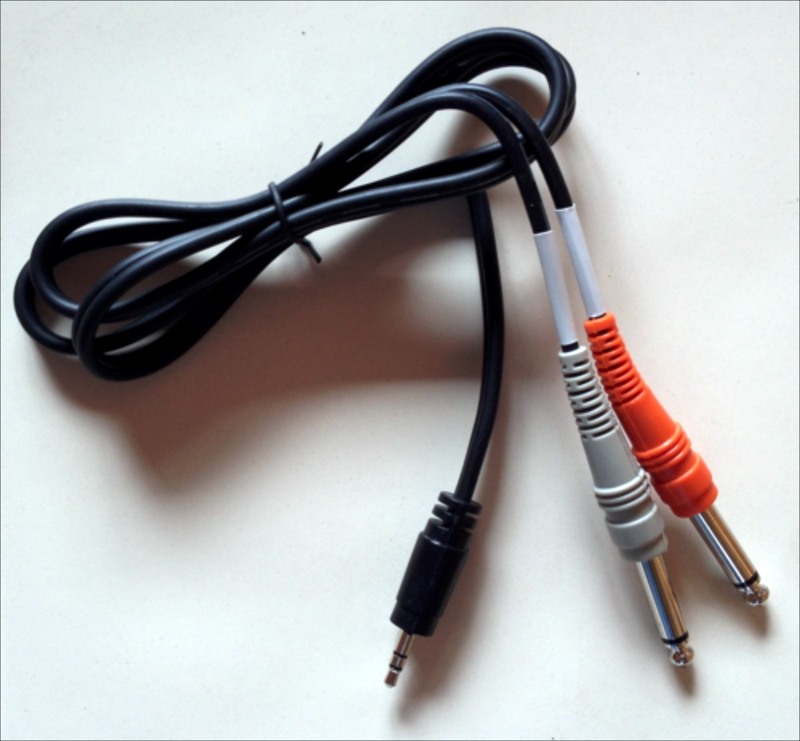 3.5mm (1/8") TRS to RCA Stereo Patch Cable. Remember to keep the patch cable length under 10 feet (3 meters) for best audio quality. 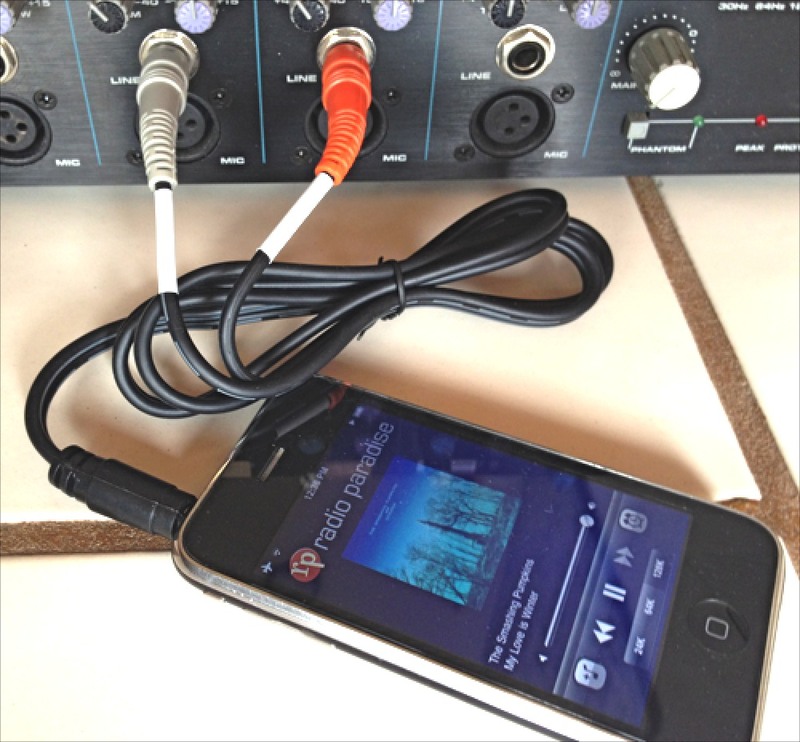 Longer cables are more likely to pick up noise and attenuate high frequencies resulting in a dull sound. Our next input option is the XLR Mic Input. 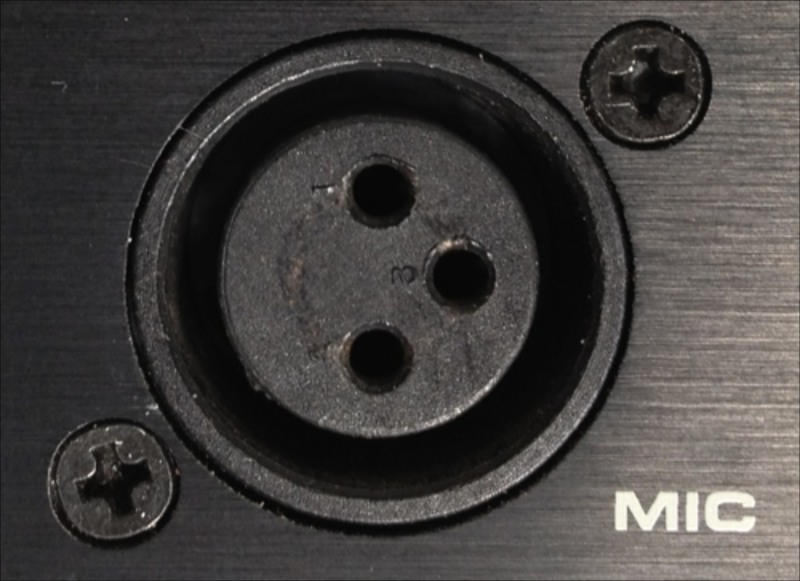 XLR inputs are balanced mono inputs. Even though they have 3 conductors they are not stereo. Balanced inputs allow long cable runs (greater than 200 feet 60 meters) without hum, noise, or noticable loss of audio quality. 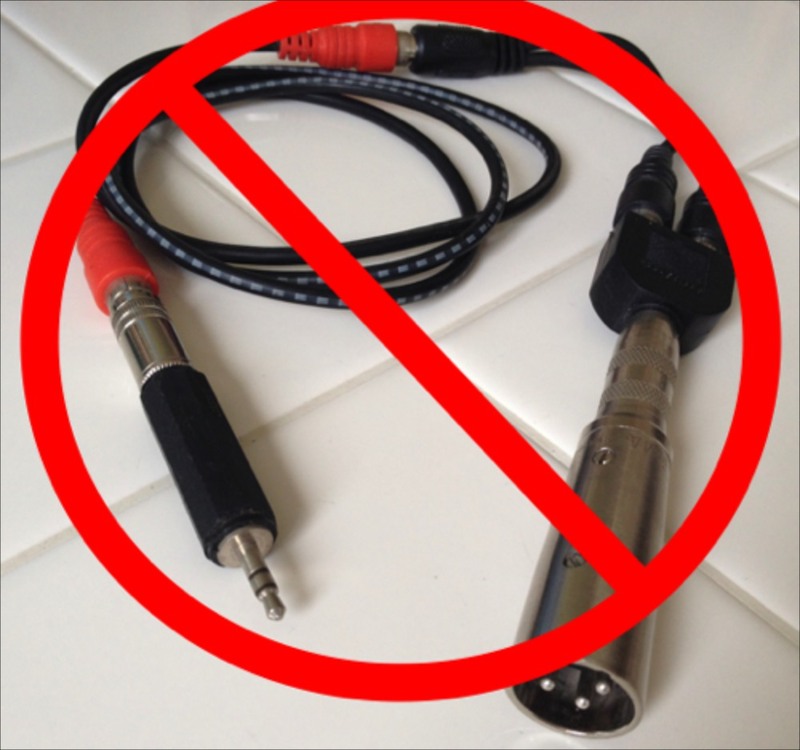 The “adaptor into an adaptor into another adaptor” approach is an unfortunately all too common practice attempting to connect a 3.5mm output to a XLR mic input, audio might come out of your sound system, but it will sound awful. Avoid this. A Matching Transformer is the solution when patching a smartphone, tablet or laptop into a XLR input on your mixer. This device will "match" the two different input and output signals for optimum results. It sums (combines) the stereo input channels to mono. It attenuates the higher line or headphone output voltage level down to mic voltage level to avoid overloading and distorting the input. 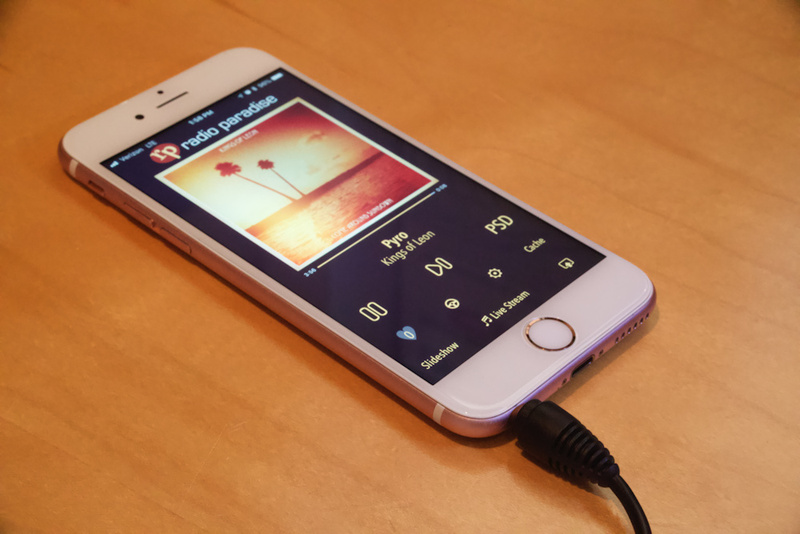 It also balances the output, which allows for much longer cable runs without any audio degradation. Here are the components that you'll need to connect to a XLR mic input. 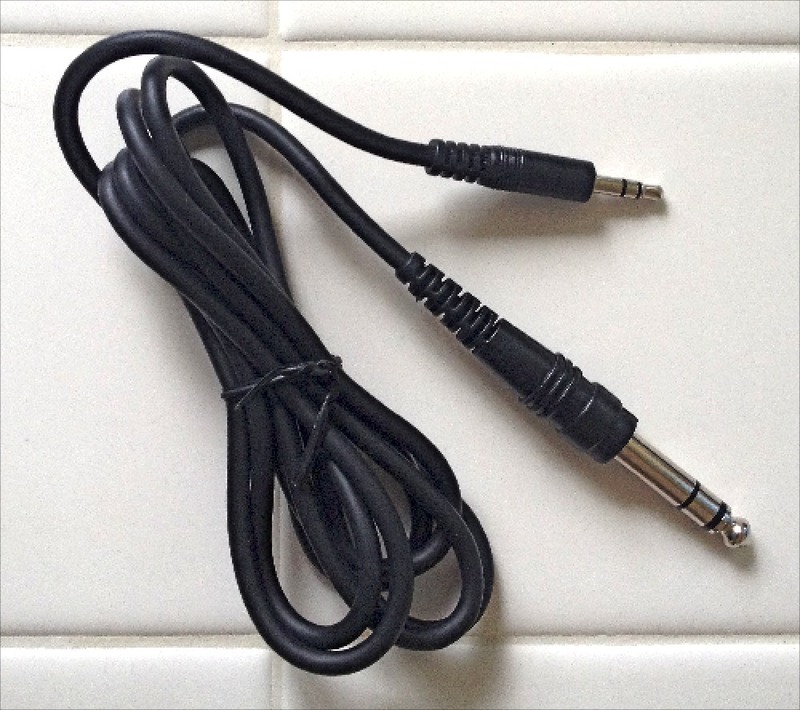 3.5mm (1/8") TRS to RCA Stereo Patch Cable (under 10 feet). 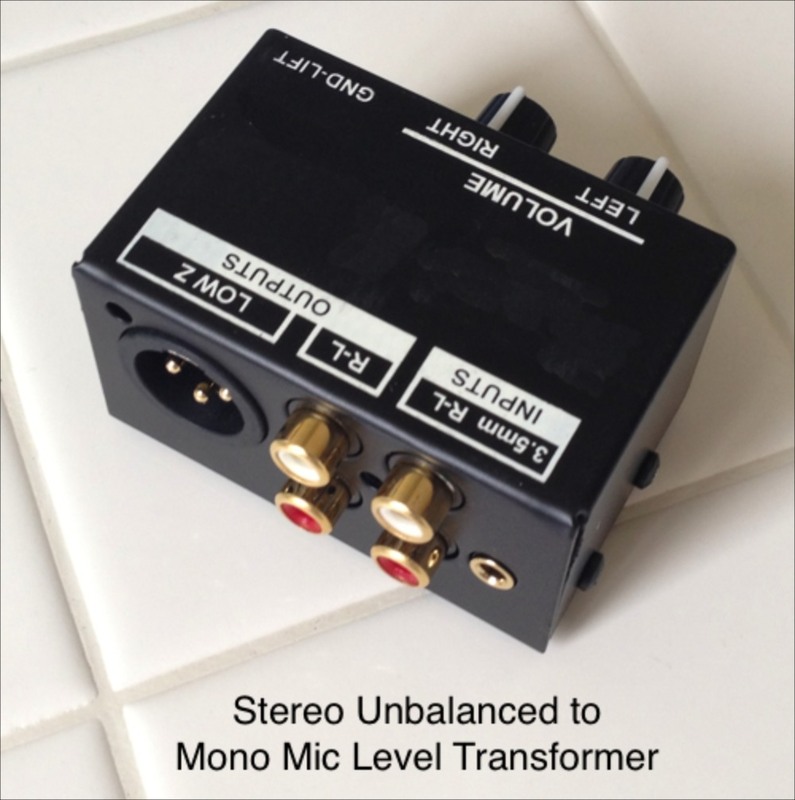 Stereo Unbalanced to Mono Mic Level Matching Transformer. XLR male to XLR female, lengths up to 200 + feet are possible, you can connect multiple cables together for long runs. This is 1/4" Phone Jack input. Call us if you're not sure, we'll need the make and model number of your mixer, so write it down before you call. If you have unbalanced or balanced Mono 1/4" Inputs, this is the 3.5mm TRS to Dual 1/4" TS patch cable that you'll need. 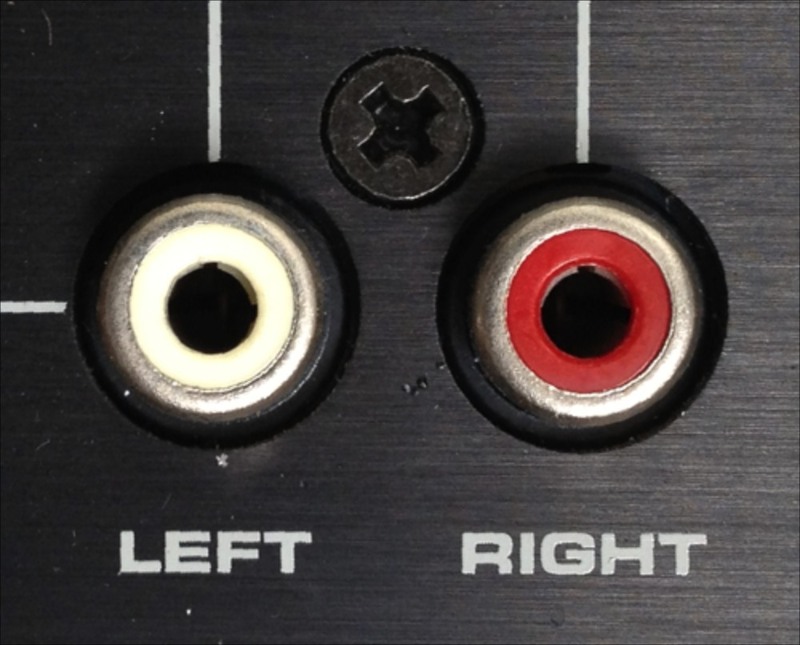 In order to get both the left and right stereo channels, you'll need to use 2 line input channels on your mixer. Remember to keep this cable shorter than 10 feet to avoid hum, noise, and loss of high frequencies. Here is the 3.5mm Stereo to Dual 1/4" TS patch cable plugged into two Mono 1/4" mixer channel inputs. This patch cable you'll need if you have a 1/4" Stereo Input. 3.5mm TRS to 1/4" TRS patch cable.